Each year, food manufacturers produce billions of pounds of food waste – most of which is avoidable or reusable under alternative circumstances. And while much noise has been made over the last few years in regards to curbing food waste, there’s still a lot to be done. It’s easy to turn a blind eye – and many outside of the food industry likely have no idea how big of an issue it is – but we’re currently facing a food waste epidemic and things don’t appear to be getting much better. According to a report from the Food Waste Alliance, it’s estimated that 30 percent of all food grown worldwide may be lost or wasted. And because of the growing population, global food production will need to increase by 60 percent by 2050. That means, at this current rate, food waste will skyrocket. 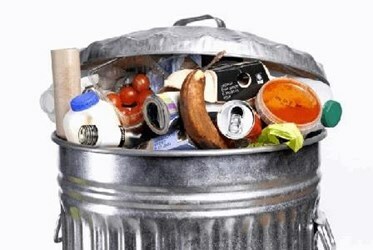 In the report, Food Waste Alliance defines food waste as, “Any solid or liquid food substance, raw or cooked, which is discarded, or intended or required to be discarded. Food waste includes the organic residues (such as carrot or potato peels) generated by the processing, handling, storage, sale, preparation, cooking and serving of food.